When you think of injectables, invasive cosmetic procedures that take longer than you’d like to recover may come to mind. However, that’s not the case. 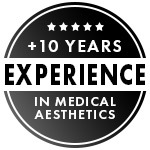 La Beauté Medical Aesthetics offers a variety of cosmetic procedures that range from PRP to vitamin B12 injections. What’s great about every aspect of these injectable procedures is that they help you feel good about yourself and look even better. 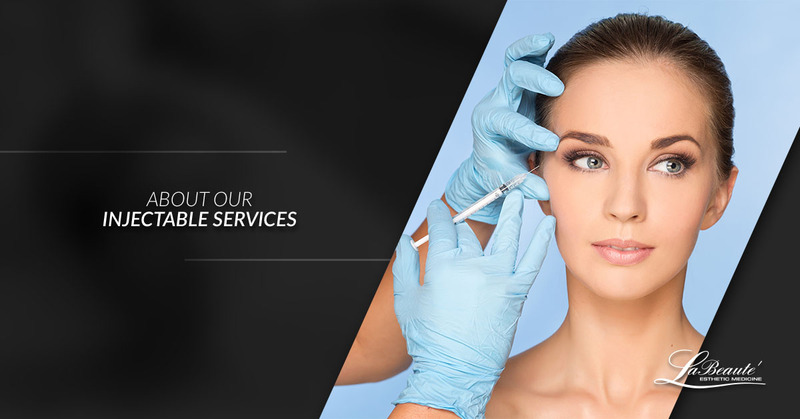 If you’re interested in learning more about our injectable services, then contact us today. What Injectable Services Do We Offer? The injectable services we offer at La Beauté Medical Aesthetics vary from PRP treatments to Botox®. These services are dissimilar, but the overall concept remains. You’ll feel better about your body, skin, or your face when you decide on these cosmetic procedures. With a passion to help you feel and look fantastic, we’ll help you learn to love your body again or for the first time. Injectables, if you’re not aware, will help to improve how you look. Beauty injections are one method that’s minimally invasive and will make you feel better and look fantastic. It’s a better solution than other beauty methods because it offers you a whole lot more when it comes to anti-aging treatments. Injections come in many different types as well. Just take a look below to learn everything you need to know about Vitamin B12 to dermal fillers. Keep in mind that one injectable doesn’t always work for one person, so it’s best to discuss your options with the doctor to determine the best treatment to get your desired results. A lack of B12 deficiency can cause exhaustion and a reduction of skin elasticity. The absorption of vitamin B12 decreases over time. Vitamin B12 injectables are beneficial because they not only help your skin, but they also help you metabolize better. B12 is needed to make red blood cells, so that your body is healthier, but it also helps you metabolize fat better and eliminate fatigue. Injections help with sleep, mental clarity, energy, weight loss, and your mood. Many people get vitamin B12 injections because it helps with energy as well as losing weight. Speaking of losing weight, LipoVite is another way to decrease the fat on your body and speed up your metabolism. LipoVite injections will help to decrease your appetite while increasing the fat burning process in your body. This injection has vitamin B12, B6, and three fat burning amino acids to help speed up your metabolism and make you feel great about your body. On the other hand of the beauty spectrum, dermal fillers help to decrease the facial lines and restore fullness as well as volume to your face. Dermal fillers will decrease the shadow of your lower lids, soften facial creases, decrease wrinkles, plump thin lips, and improve any scars that may be on your face. This procedure is great for those who see early signs of aging and would like to add a youthful glow to their facial features. We carry a variety of top brands that include Ravannesse Versa, Juve Ultra Derm, Kybella, Volbella, Voluma, and Volure. Each of these brands are top of the line and will provide you with the results you want. If you have a specific brand in mind for your dermal fillers, then don’t worry because we can order any brand that you like to ensure you’re getting the most out of the dermal fillers. At La Beauté Medical Aesthetics, we strive to ensure that you’re getting the top brands out there, especially when you’re partial to a brand that you absolutely love. Botox is one of the more commonly known injection procedures. By diminishing the fine lines and wrinkles on your face, this popular injection will decrease the signs of aging. You’ll notice incredible results with this procedure, especially around the forehead and eye area. Botox will temporarily freeze your muscle activity, so it’s vital that whatever you end up doing, you plan accordingly. After all, there’s nothing worse than going to a public event and not being able to comfortably socialize. Botox will relax the facial muscles that cause wrinkles, so that area around your eyebrows will be smoothed out. Additionally, the worry and frown lines will be more even and you can finally say goodbye to those crow’s feet. The last area that it treats is the forehead furrows, which is an area that a lot of people notice aging. Botox can also treat areas of your face that have nothing to do with beauty such as eye twitches or lazy eyes. PRP, or platelet-rich plasma as it’s known, will promote skin rejuvenation. However, there are many other ways that it can treat the body such as with ligament injuries or osteoarthritis. Platelets are in the blood, which helps to heal the skin and grow new cells. These new cells will help with growing the collagen in the skin, regenerating the skin, and making it tighter, smoother, and soften the wrinkles. PRP will promote healing when it’s injected, which is why it’s such a beneficial treatment to make you look and feel better. Injecting PRP into tissue that’s been damaged will stimulate it to grow new and healthy. While the skin heals, proteins will support the cellular growth, which helps the tissue look and feel better. What’s great about these treatments are how they can help everything from beauty treatments to serious injuries. We also offer PRF treatments, also known as platelet-rich fibrin. PRF is the next step up from PRP and has high concentrations of white blood cells and fibrin. This procedure helps with facial rejuvenation and filling out areas of your skin that may be thinner than you’d like. This injection helps to give you a youthful and natural glow. This treatment can be injected into the lower and upper lids, cheeks, lips, chin, and the forehead. It’s meant to help with improving skin scars, especially from marks left behind from acne. It’s also used to improve oily and dry skin conditions as well as reduce wrinkles and dry skin. PRF treatments will significantly improve your features all while being minimally invasive and completely safe. What’s even better is that there’s no risk of infection or allergies because it’s from the patient’s blood. For further information about our injection services, take the time to reach out to us. We’ll make sure to guide you toward the non-invasive cosmetic procedures that will target those areas of your body that you view as a problem.